The top Iranian diplomat has responded to US President Donald Trump's move to double the steel and aluminum tariffs already in place against imports from Turkey. 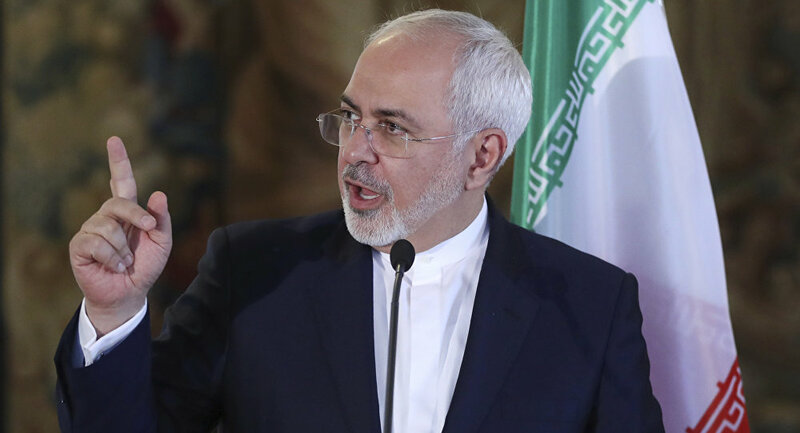 In one of the latest posts on his Twitter page, Iranian Foreign Minister Mohammad Javad Zarif slammed Washington's "jubilation in inflicting economic hardship" on Turkey as "shameful". He tweeted that "the US has to rehabilitate its addiction to sanctions and bullying or the entire world will unite — beyond verbal condemnations — to force it to." In an apparent nod to Turkey, Zarif also promised that Iran will support its immediate neighbor in the face of the US sanctions. His remarks came shortly after US President Donald Trump announced on Twitter that he had authorized the doubling of tariffs on steel and aluminum imports from Turkey, praising "the strong dollar" and the plummeting Turkish lira. The Turkish Foreign Ministry, in turn, pledged to retaliate against restrictive US measures, stressing that Washington will not get results by imposing sanctions on Turkey. "It is impossible to correlate the decision by President Trump to impose additional duties on steel and aluminum to the World Trade Organization rules.The US should know that they will not be able to achieve any results with such sanctions and pressure. They will only damage our allied relations, which have withstood serious difficulties. As before, all steps taken against Turkey will receive the necessary response," the ministry pointed out. The Turkish Trade Ministry, for its part, underscored that the extra US tariffs are out of sync with the World Trade Organization (WTO) rules. The exchange rate of the Turkish lira plummeted more than 16 percent against the US dollar and reached an all-time low following Washington's announcement. In early August, the US announced that it was sanctioning Turkey's Minister of Justice Abdulhamit Gul and Interior Minister for leading roles in the imprisonment of US pastor Andrew Brunson and alleged human rights abuses. Brunson was put behind bars about two years ago for alleged ties to the movement founded by Islamic cleric Fethullah Gulen, who is accused of orchestrating the 2016 failed military coup in Turkey The pastor was recently released from a Turkish prison and placed under house arrest.